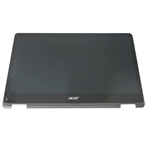 New Acer Aspire R5-571T R5-571TG Laptop Black Led Lcd Touch Screen Module 15.6"
Home → Laptop Screens → Acer Aspire R5-571T R5-571TG Lcd Touch Screen Digitizer & Bezel 15.6"
Acer Aspire R5-571T R5-571TG Lcd Touch Screen Digitizer & Bezel 15.6"
Description: New genuine Acer laptop touch screen led lcd module 15.6" FHD 1920x1080. This part is for touch-screen model laptops only. The module is made up of the screen, digitizer and bezel. 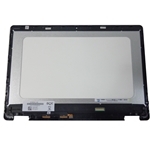 This screen does not include the digitizer board.